This is one of the most touching and best books I’ve read over the last years. 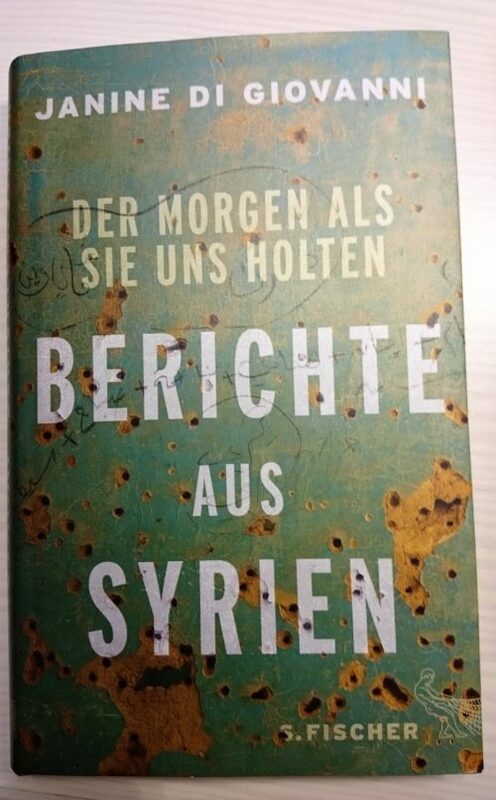 War reporter Janine di Giovanni who has covered, amongst others, the wars in former Yugoslavia, travels to Syria between mid 2011 and end of 2012. In 2011, some sort of normal living still existed in Syria, altough the country found itself at the abyss of war. Janine di Giovanni reflects her own motivation and personal history as a war reporter before making us familiar with people in an international upper class hotel in Damaskus, with Nada, an Anti-Assad political activist who had been tortured and raped in one of the many Governments torture cellars, with civilians surviving in the hell that Aleppo has already been 4 years ago – and with many people in other places of Syria. The strength of the book is in building a bridge to people who are living a “normal” live until the war takes possession of their lives.